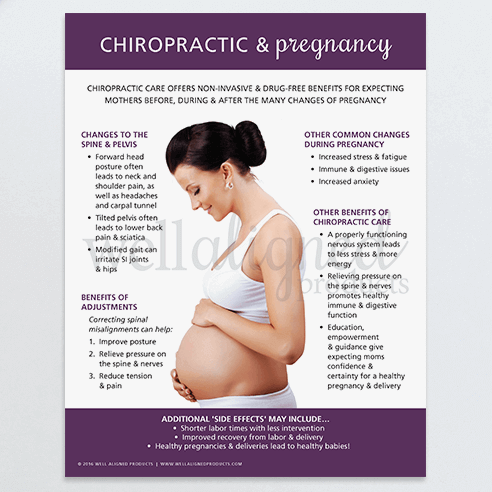 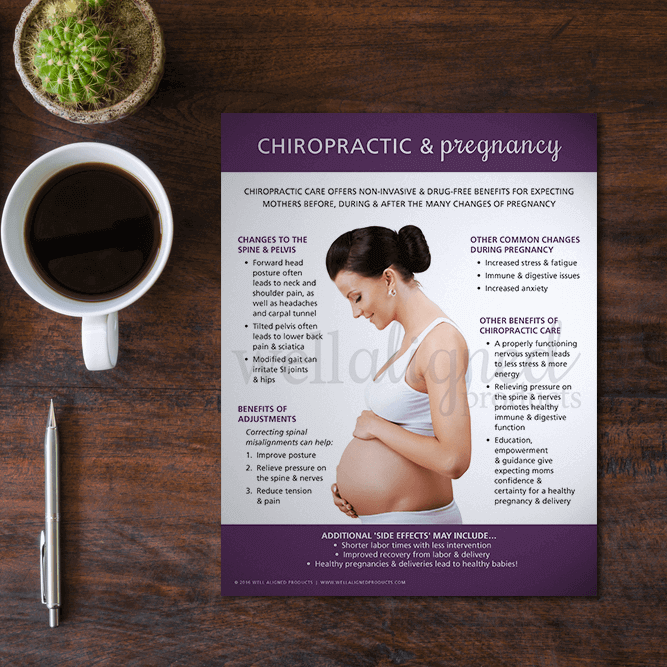 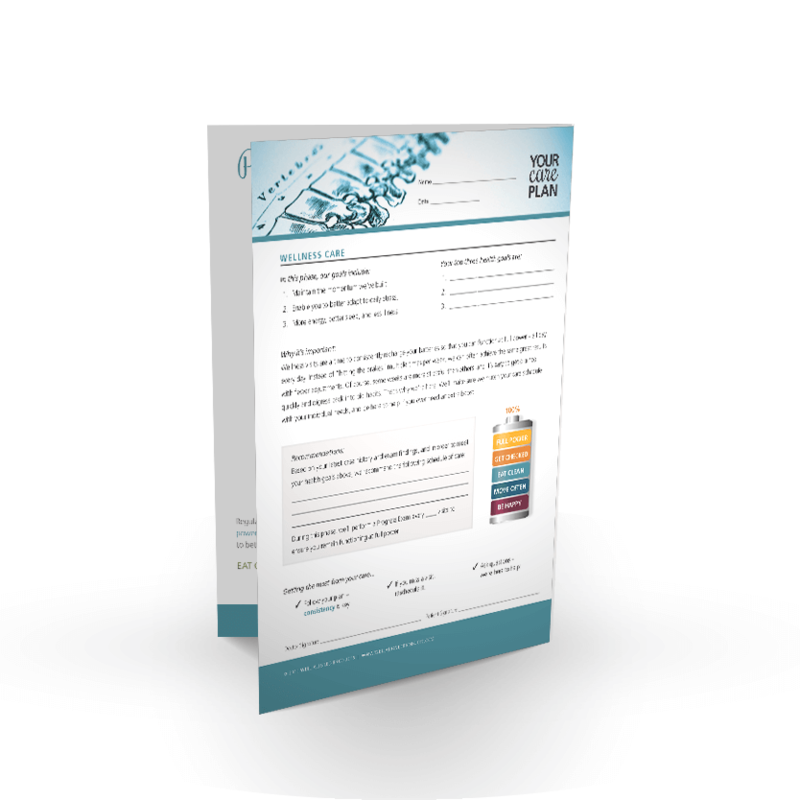 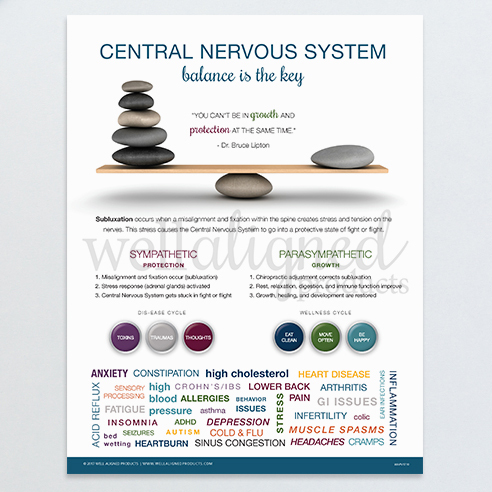 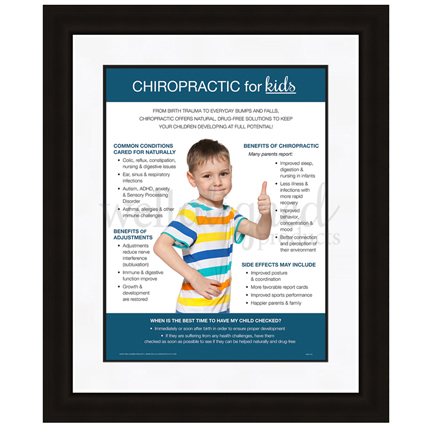 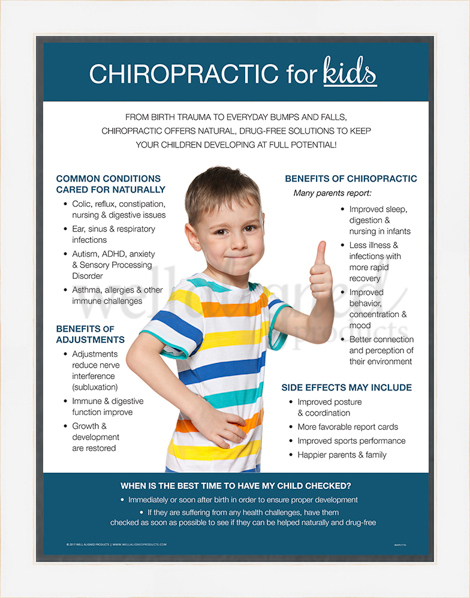 Front cover: Chiropractic design similar to our ROF folders with a complimentary color scheme. 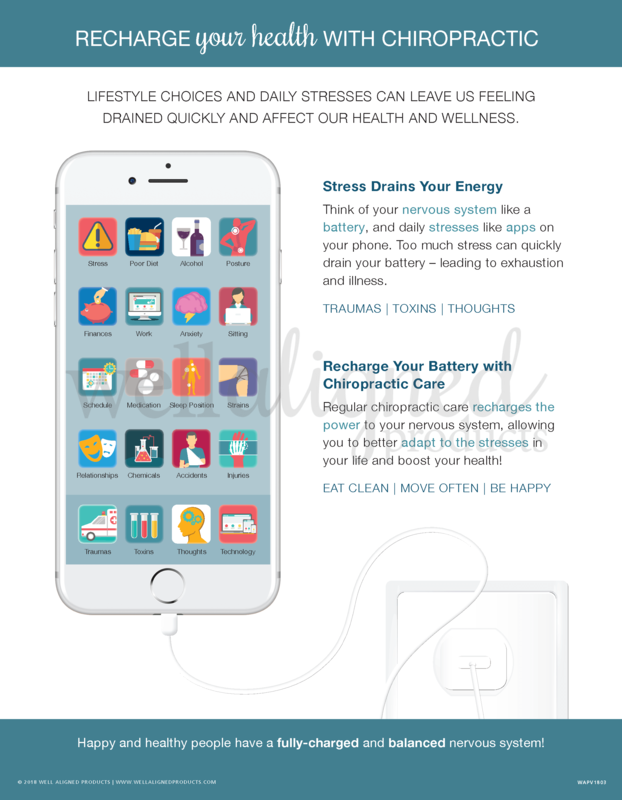 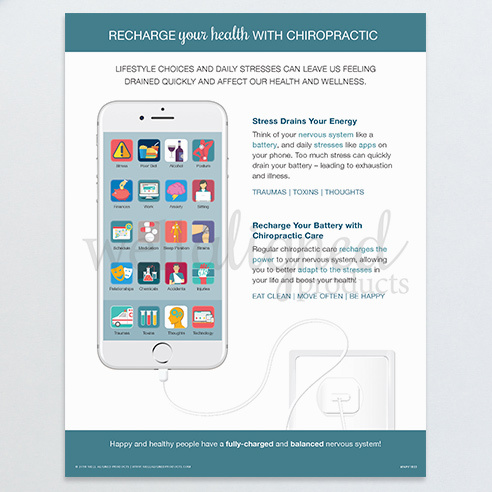 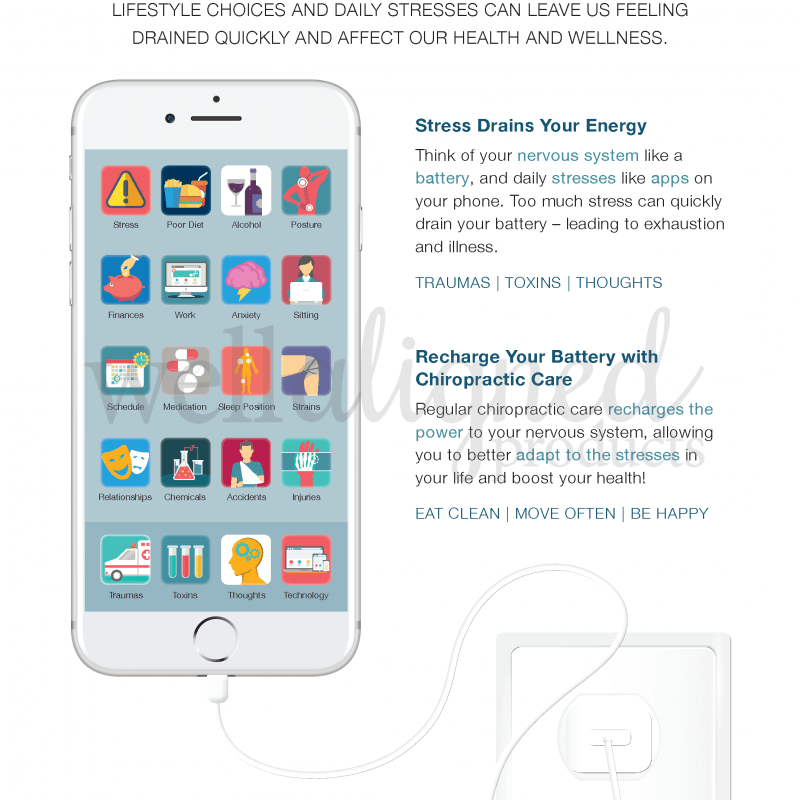 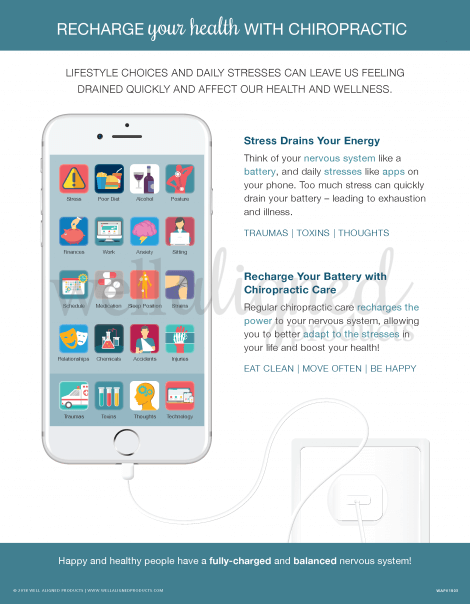 Inside left: Recharge with Chiropractic design reminds patients that they need to consistently recharge to remain at optimal health and functionality. 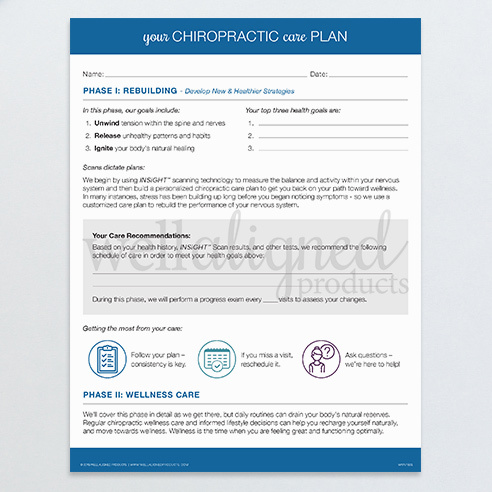 Inside right: Pocket folder to hold scans or other materials, as well as a business card slot for your practice information. 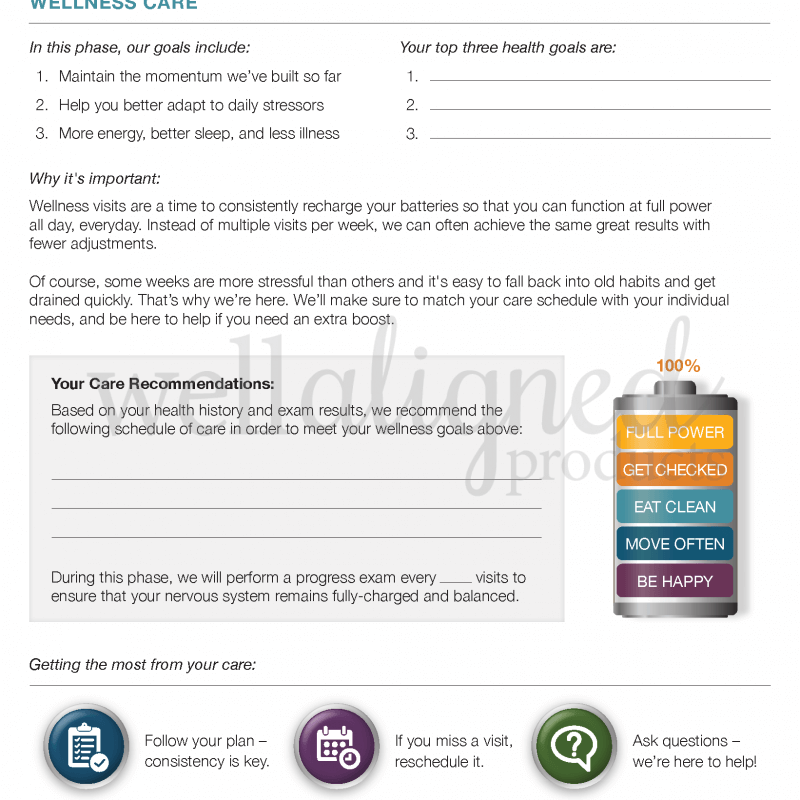 Back cover: Wellness Care Plan includes education, space for patient health goals, and your customized care recommendations. 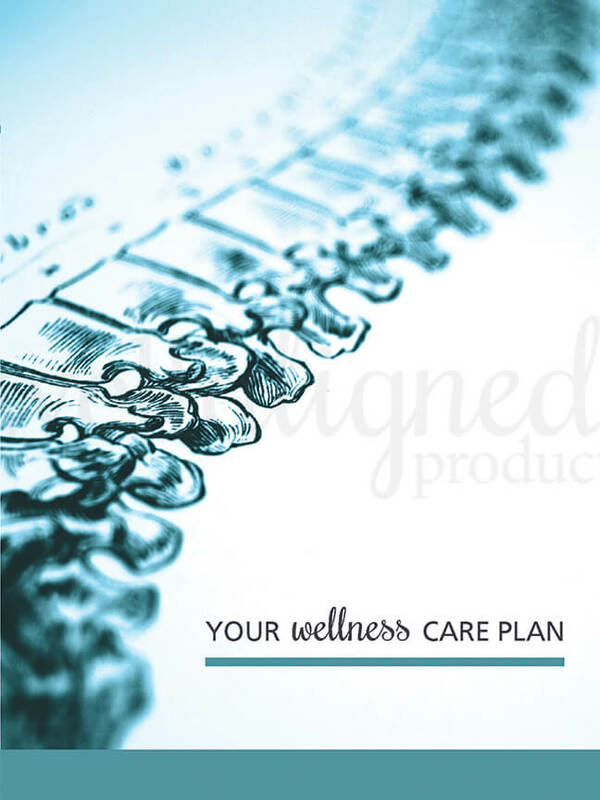 Designed to make your Wellness ROF process as smooth as possible. 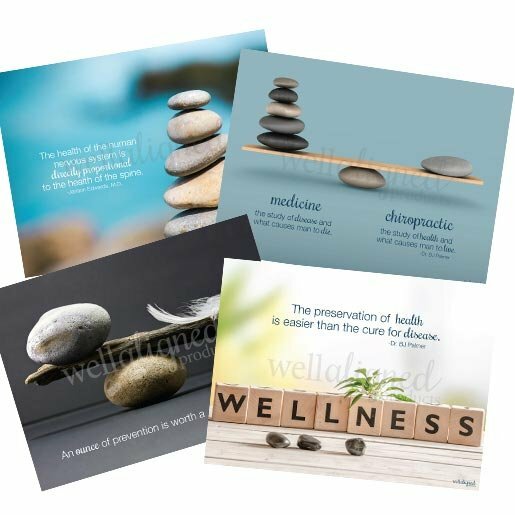 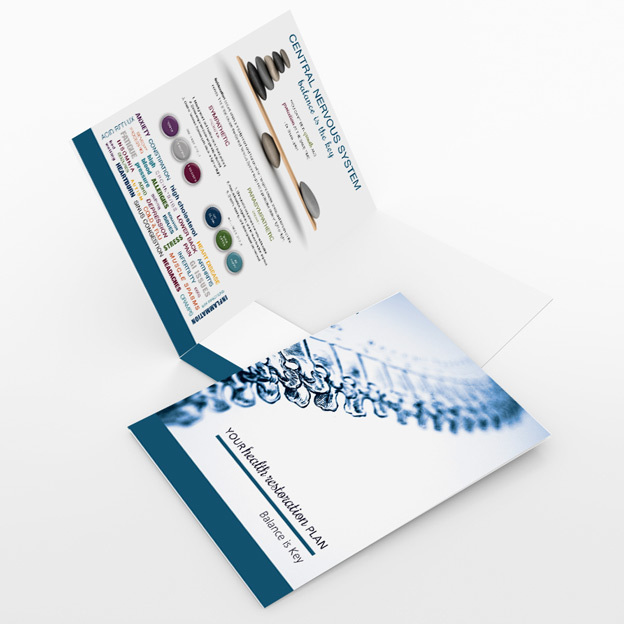 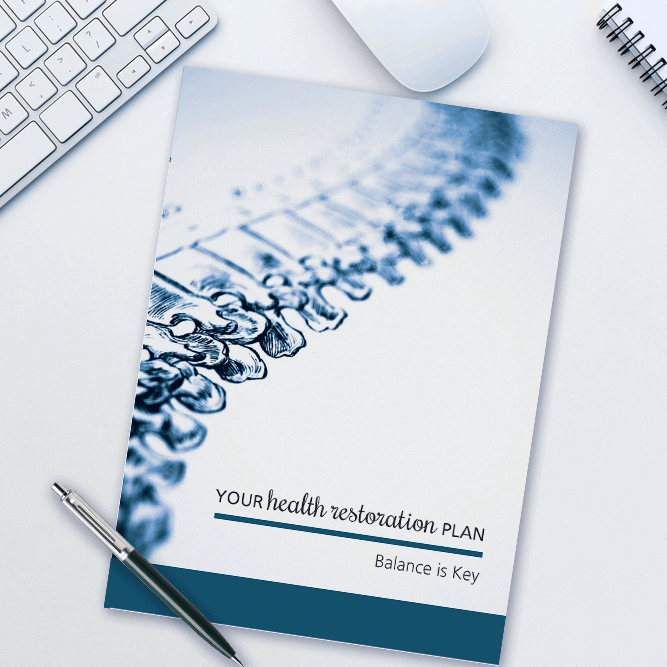 By incorporating two of the most essential transition to wellness designs directly on the folder, there are less loose pages to hassle with, and less cost to you! 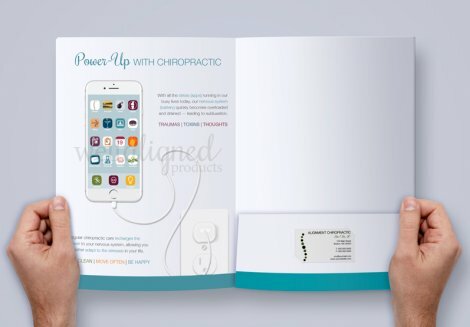 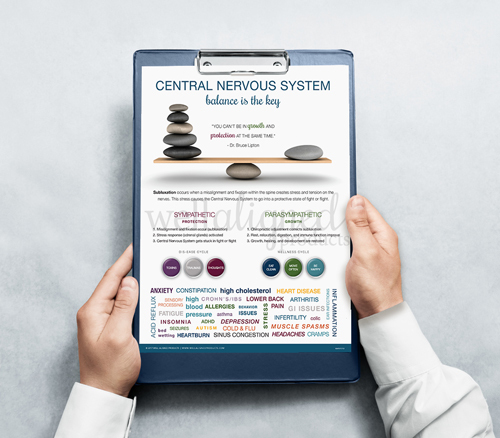 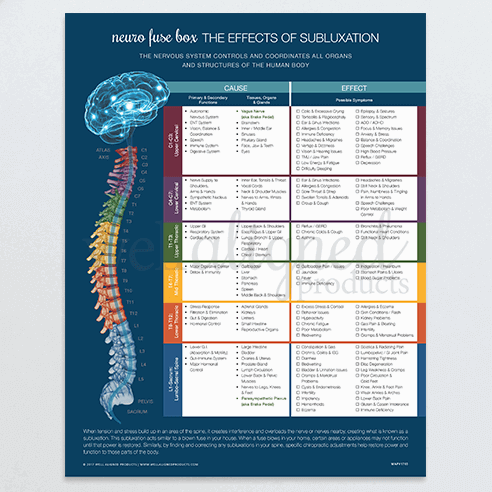 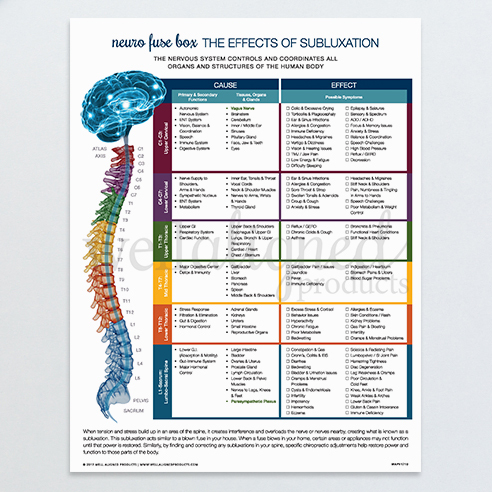 And by adding a pocket on the right to hold your scans, Spinal Fuse Box handouts, and any other products or paperwork you use in your practice, your patients will have a professional, organized perception of your practice. 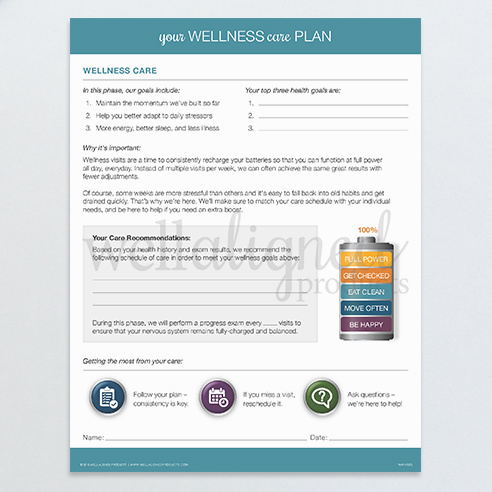 The Wellness Care Folders are great! 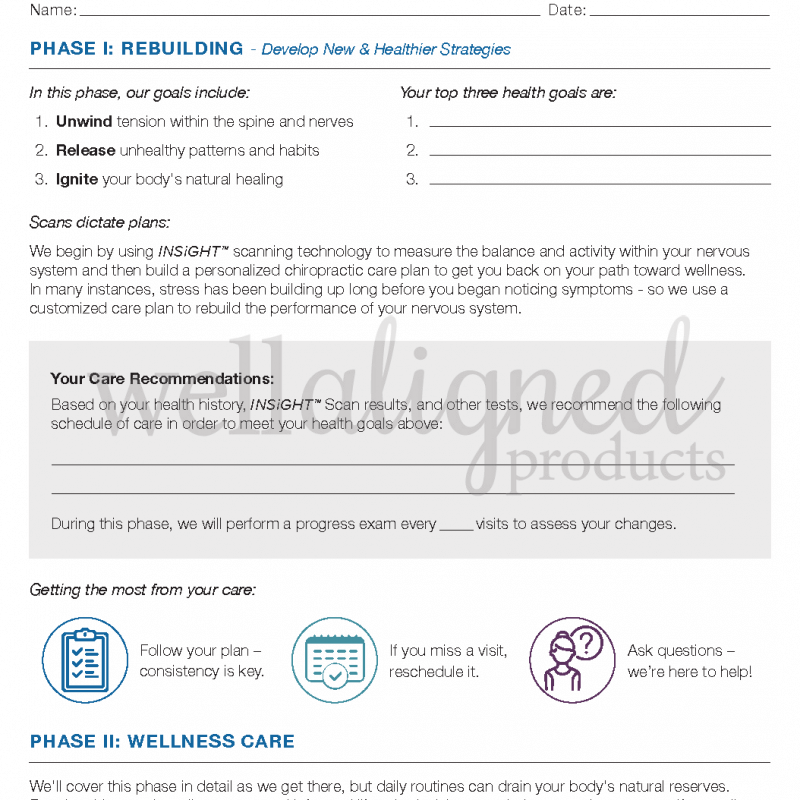 They’re really professional looking and a great resource for our patients who are switching to Wellness Care, keeping their goals in focus on the back. 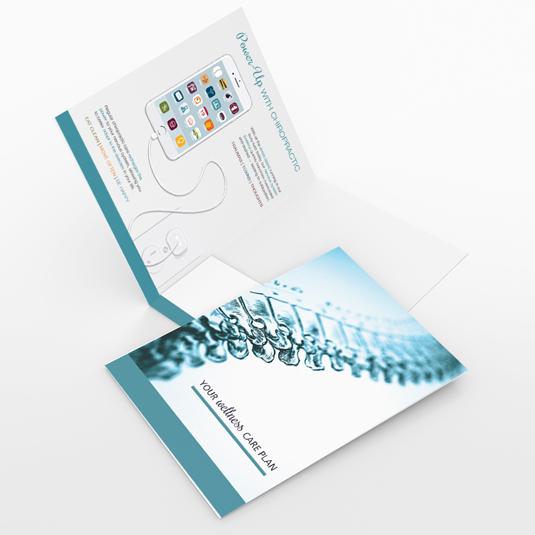 Also, the slot for business cards on the inside have been really useful. 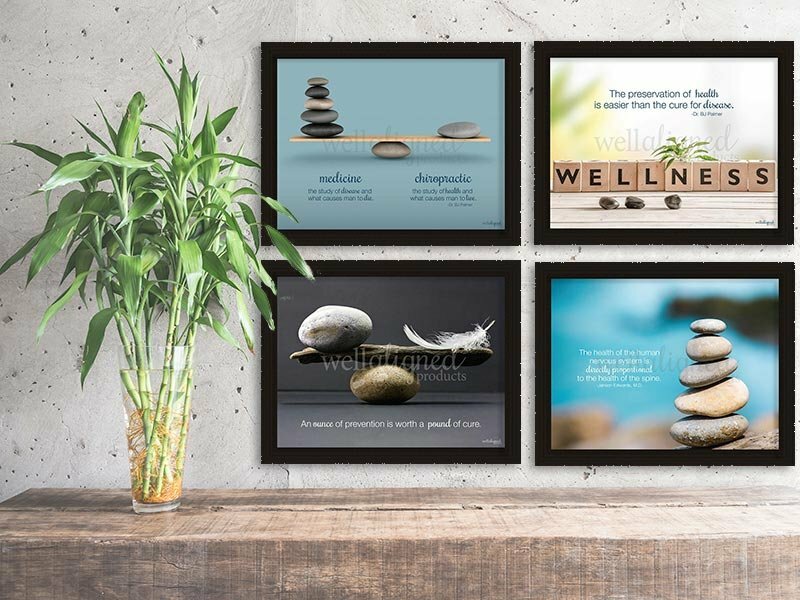 Definitely a 5 start rating for these. 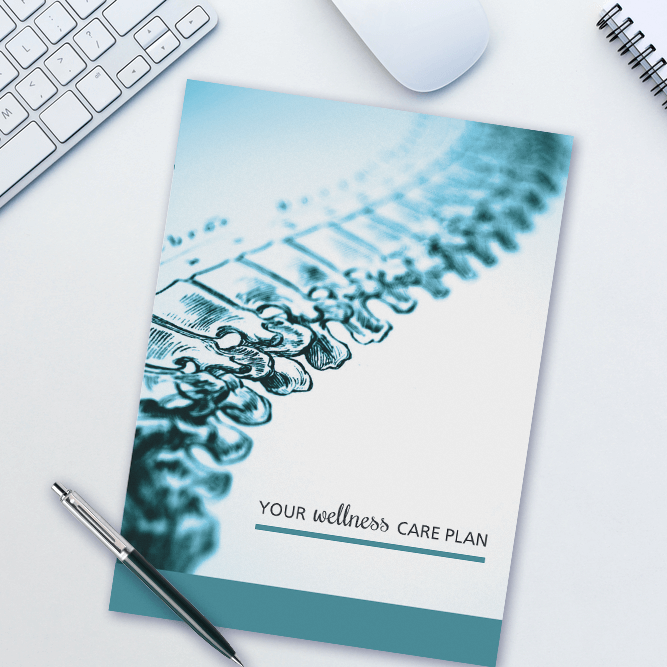 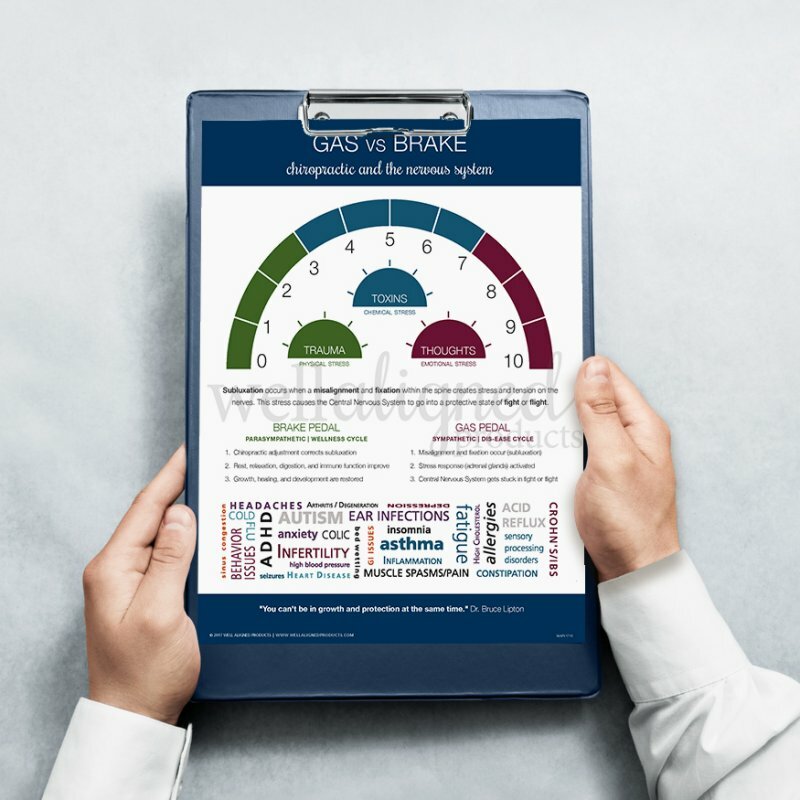 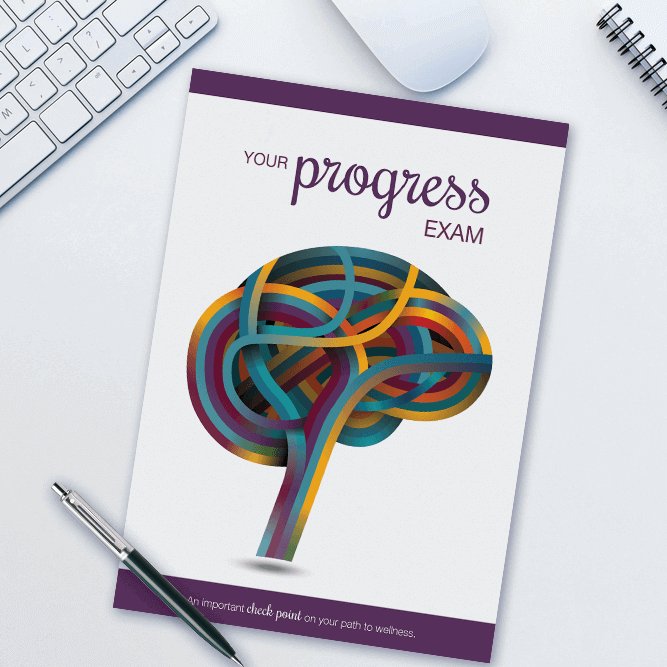 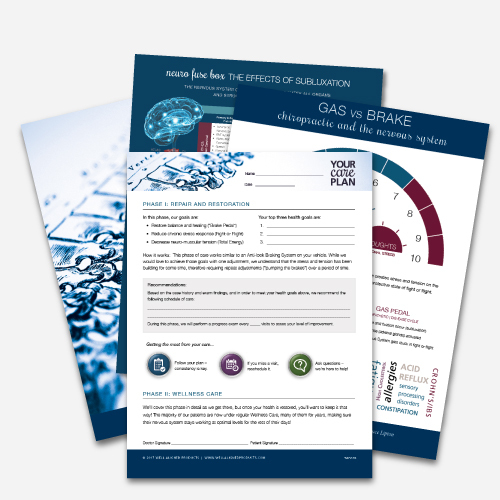 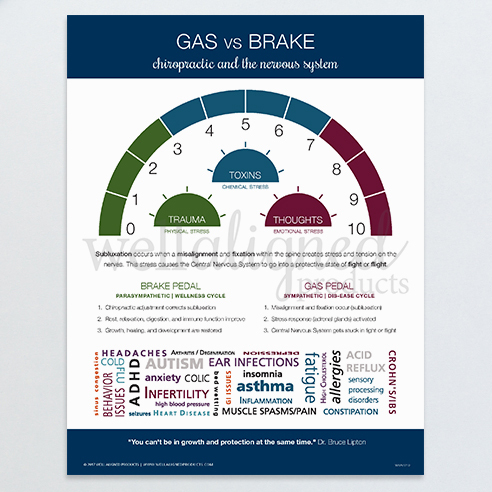 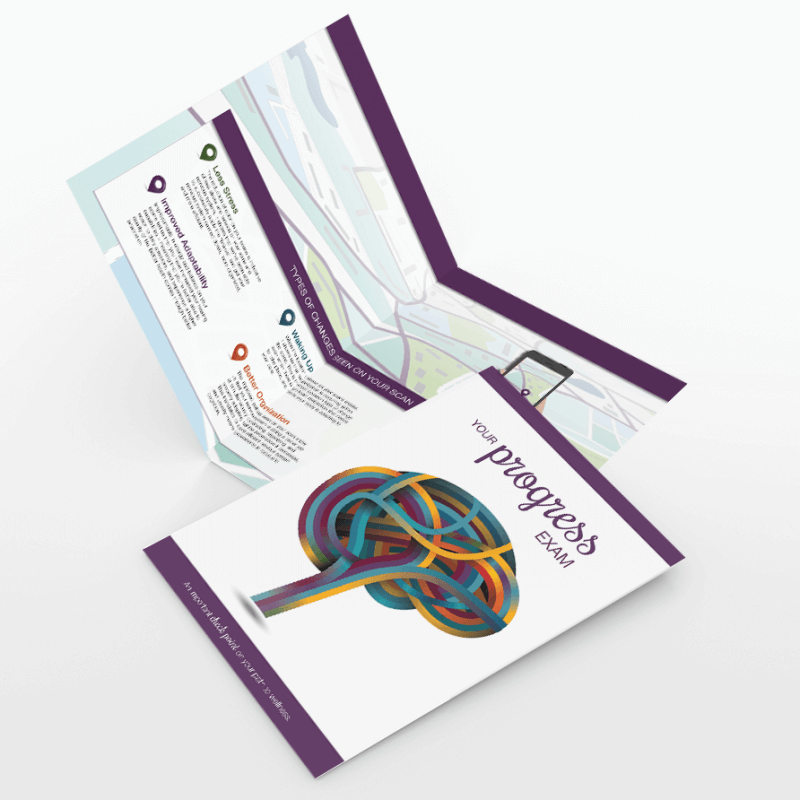 These folders are designed to make the practice member’s transition into wellness care understandable, practical and smooth, which is just what they do! 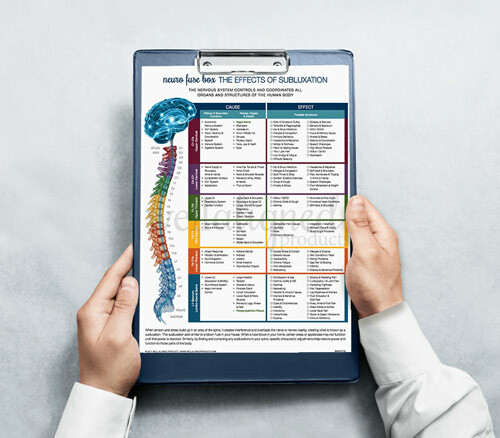 Keeping goals in mind and another opportunity for practice members and docs to open up discussion about subluxation-based care. Another great product!